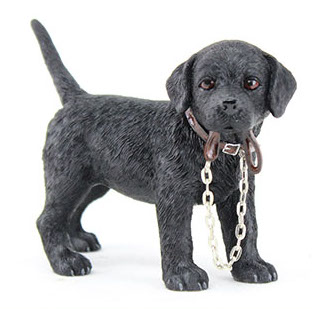 From the Leonardo Walkies collection, this cute Black Labrador figurine is irresistible! Look - he's even holding his lead in his mouth, ready to go on a walk in the countryside! Beautifully detailed with a heavy feel and comes with a gift box.